Top of the Premier League after 20 games, playing holders Bayern Munich in the last sixteen of the Champions League, an FA cup tie at home to Coventry of League One and a reliable back four all means that Arsenal are on the path to success this season. What it also means with such a demanding schedule is that injuries and hopefully avoiding them will play a pivotal role in determining whether or not Mr. Wenger and the boys can get their hands on silverware. As it stands, we’re relatively well-off in the injury department especially when compared to previous seasons. 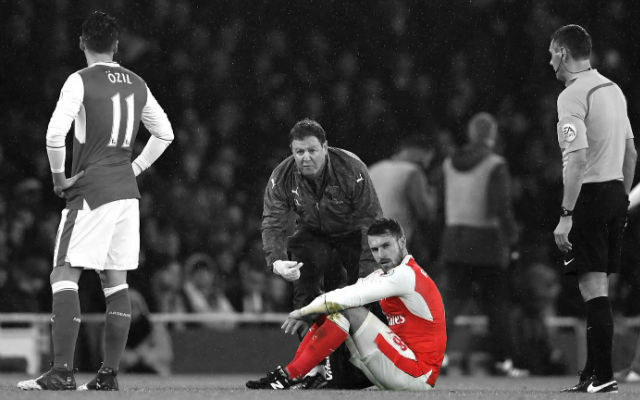 The most notable and concerning fitness issue faced by the squad being Theo Walcott’s season ending knee injury. We’ve yet to see how the squad performs in the absence of Theo but were we to suffer no more injuries to key players between now and May I don’t think too many Arsenal fans could complain. On the flipside of things, the first team will be lifted by the returns of several important players over the coming weeks which should see the team on an upward trajectory. Theo Walcott: A goal every three games in all competitions in a season disrupted and now ended by injury is a statistic that highlights just how important Theo Walcott has become to Arsenal. With an abundance of creative and technically gifted midfield players at his disposal, Theo Walcott is arguably Wenger’s most effective outlet in the side today. His very nature, a lightning quick, direct winger with an eye for goal, forces opposition managers to rethink their defensive tactics every time they face an Arsenal side with the England winger on the team sheet. Ultimately most teams, especially when coming to the Emirates, sit deep in an effort to counter the threat of balls in behind to Walcott. Whilst this is often frustrating as one-on-one opportunities become more difficult to manufacture, what it does is allow Arsenal to play the game in the opposition’s half and with the ball being moved around their area and our offensive players making runs Arsenal tend to create plenty of good shooting chances and there’s only so long that a defense camped inside their own box can last without conceding. Without Theo in the team we often struggle to find any penetration. Giroud isn’t the quickest and players like Özil, Cazorla, Ramsey and Rosicky are less direct than the former Southampton player. 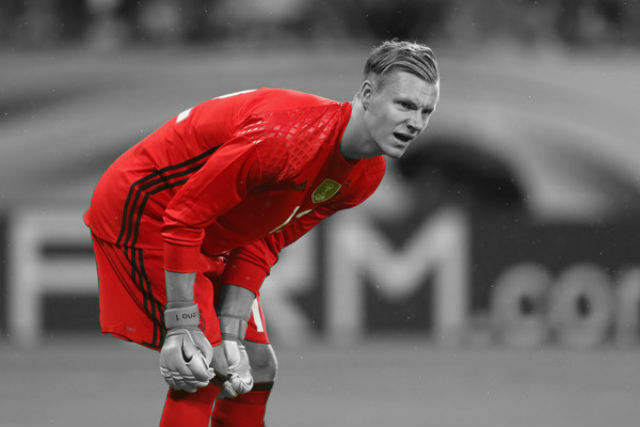 It’s a large blow to the team at a critical point in the season and it’s especially disappointing for the player as he’ll now miss the World Cup too. Nicklas Bendtner: For the most part the player that many Arsenal fans love to hate has done well when called upon sporadically this season by the manager. 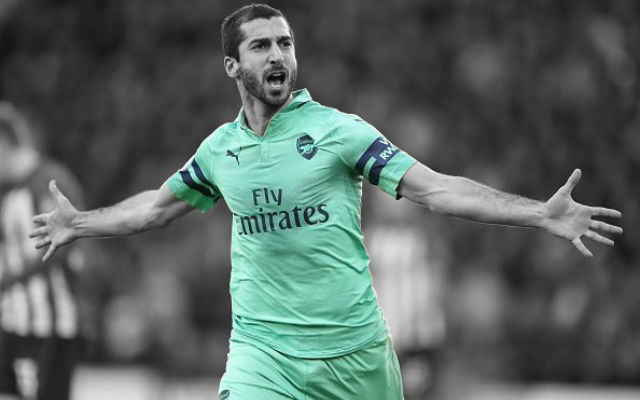 A solid performance away at West Brom in the Capital One Cup earlier in the season on a night when he was an elder statesman in an inexperienced Arsenal side shouldn’t be forgotten and of course recent goals against Hull and most crucially against Cardiff demonstrate that he’s a player worth having fit. An ankle injury sustained in making the late breakthrough against Cardiff keeps Bendtner out for the majority of January and as Arsenal’s only otherproven centre forward besides Giroud and with Walcott now sidelined for the rest of the campaign this injury could force Wenger’s hand in the window. Yaya Sanogo: The imposing twenty year old forward joined Arsenal from Bacary Sagna’s former club Auxerre off the back of a season in which he was top scorer for the French side that won their first ever Fifa U-20 World Cup. 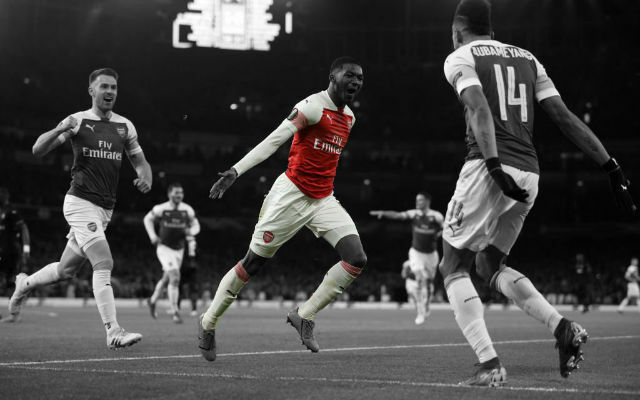 Despite these credentials it became clear after a couple of early appearances this season that Sanogo is still a ways away from staking a claim for a starting spot. Unfortunately, any progress that prospect might have made since the beginning of the campaign has been hampered by a back injury picked up way back in September (Pardon the pun…). This has meant that he’s been deprived of cameo appearances from the bench and lengthier exposure to the first team in games like our upcoming FA cup tie. Not quite missed but certainly an option it would have been nice to see more often in debut season. Abou Diaby: I’d rather not talk about it. Jack Wilshere: A mostly knock-free season so far for Jack, a player who much is expected from but who is in danger of falling short of reaching his potential. Wilshere isn’t currently injured but as a player who not too long ago fans had down as a future club captain, talismanic figure and England star it is concerning that Jack has struggled to add consistency to his game in the way that Aaron Ramsey has done this season. With Jack this season you don’t really know what you’ll get on any given day. 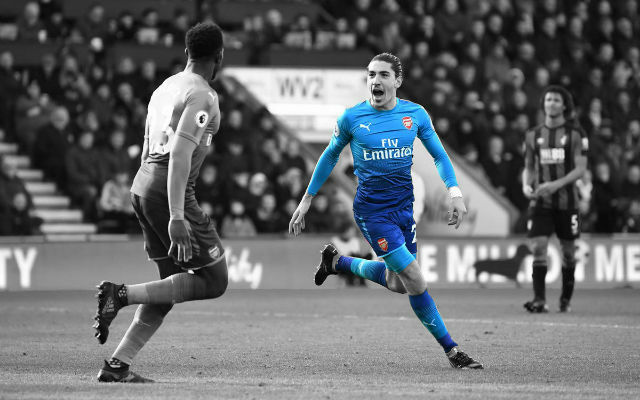 On his day he runs the show and the combination of passion, athleticism, technique and creativity that he possesses mean that he can go on to be a key player for Arsenal for the next ten years but his off days come along too often and on these occasions he can be found wanting. Nevertheless, he’s an important part of the team and he’ll be influential in the team’s push for trophies. Let’s just hope that as it draws closer to crunch time Jack can rise to the occasion and use any success as a foundation to kick on to another level in his play. Lukas Podolski: The German international was sidelined during a Champions League play-off match vs. Fenerbahce back in late August. As such Podolski has only featured four times in all comps so far this season. In light of this, he already has 3 goals to his name; he scored an impressive brace away at Fulham on Matchday two and added to his tally upon returning to first team action at West Ham recently. With the imminent return of Alex Oxlade-Chamberlain, the emergence of fellow compatriot Serge Gnabry and Wenger’s willingness to deploy the likes of Cazorla, Özil and Wilshere in wide positions, Lukas will have to stay fit and display all of his ability and experience if he wants to nail down a regular spot in the team. After a solid first season at the club it would be nice to see Podolski step up his game in the same vein as Giroud and other players who have previously shown marked improvement during their second year in North London such as Koscielny. The boss often talks up the former FC Köln star’s clinical finishing ability and I tend to agree with him so now it’s just down to supplying him with the ammunition. He tends to drift in and out of games but his left foot is a potential match-winner on any day. Alex Oxlade-Chamberlain: The young midfielder has an abundance of potential and is probably further along in his development than the man whose position he may well be trusted with filling, Theo Walcott, was at the Ox’s age now. AOC will have to hit the ground running though if he wants to make a serious claim for that starting right wing spot. Arsène seems insistent that Chamberlain’s future lays through the middle but his explosive change of pace makes him a more than suitable candidate for that wide right role and his talent, enthusiasm and desire to impress could be crucial in Arsenal’s title push. Hopefully he takes his chance when Wenger gives it to him and that he can stay fit after a serious knee injury that has deprived the Arsenal faithful of the youngster’s talent since the monumentally disappointing Matchday one. Aaron Ramsey: Our best player this season alongside Koscielny and Mertesacker in my opinion and not to mention the team’s top scorer, the Welshman can drive this Arsenal side to glory. Although his displays stuttered in the weeks leading up to his injury Aaron has the ability to win games and create chances for the team regularly. It will be interesting to see where he plays if Wenger has all other central midfield options available but whether it’s alongside Arteta/Flamini/Wilshere or just ahead of the holding midfield pair, Ramsey plays. Undoubtedly the player we need back from injury the most. Mesut Özil: Indisputably talented, Özil hasn’t exactly taken on the responsibility that his price tag might have warranted just yet. Having said that, he’s new to the league and we’ve seen that first seasons in top-flight English football can be difficult e.g. Giroud, Koscielny and Mertesacker. Additionally he’s not used to playing through the festive period as both the Bundesliga and La Liga take winter breaks. Now having said all that… the lad is a very fine footballer and we can expect him to produce more moments of flair and outstanding technical ability as the season continues, hopefully a bit more often and in the big games too. Whilst it might be a little tricky to improve our current league position there’s definitely room for improvement and progress domestically and in Europe. With a cluster of talent returning, of which the majority could possibly feature again as soon as Monday’s trip to Villa Park, Arsenal remain in good standing to continue their fight for trophies this season. There’s still plenty of football to be played yet however and the team’s mentality must remain strong in the wake of any disappointments they might encounter along the way. With a winning mentality, potential January additions to the squad and some Wenger magic this could well be the season that we add a Premier League title to go along with those shiny Emirates Cup trophies.